In 1933, Campo Marzi Bottega pens started to be produced in a small shop in the heart of Rome. In time, nobles starts to seek for pens produced by Campo Marzio Bottega. However, due to the incidents occurred in 1939, gold becomes unreachable and it becomes impossible to make fountain pen spare parts. In order to avoid this problem, Italian artisans starts making fountain pen nibs from famous Murano glass. However, despite the efforts, fountain pens give its place to ballpoint pens. As a result of industrialization, 60’s and 70’s put an end to artisans, replacing them with mass production. However, Campo Marzio Bottega continues its production for customers who avoid mass production and seeking for more characterized and custom made pens. In the 90’s, when Italian designs become one of the most popular designs in fashion world, Campo Marzio Bottega decides to carry its work under the name of Campo Marzio Design. 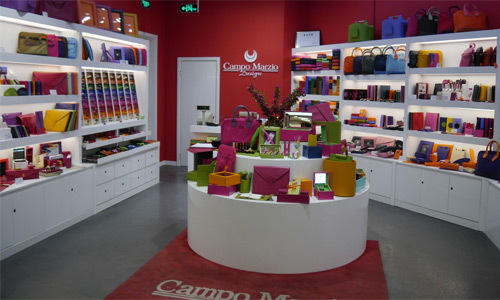 Today, Campo Marzio Design Boutiques offering small leather goods besides fountain pens and ballpoints can be found in big cities such as London, Madrid, Hong Kong, Singapore and many other cities and in exclusive department store. In Turkey you could find Campo Marzio Design products in D&R stores as far as I know for the last two months. Campo Marzio Design Minny Fountain Pen I wanted to introduce is a birthday present (November 2011) of my beloved friend Volkan which was bought from Campo Marzio Design London Boutique. However, I am not aware of its price since it is a gift. Since it has been a long post, I wanted to divide it into two pieces, that’s why this post becomes an introduction to Campo Marzio Design, hopefully the fountain pen post will be on the next one. Please don’t forget to vote the Lammy winner photo from the voting application on the right. To see the photos please click!